Grundfos's record 2017 turnover, our Top 10 pump business news stories of 2017 and Xylem's new Warsaw facility were the most popular stories on the World Pumps website in March. Grundfos reports turnover of DKK25 634 million in the 2017 financial year. Featuring Nikkiso, Interpump, Ebara, Grundfos, Colfax, Flowserve, Wilo, Ruhrpumpen and Sulzer. 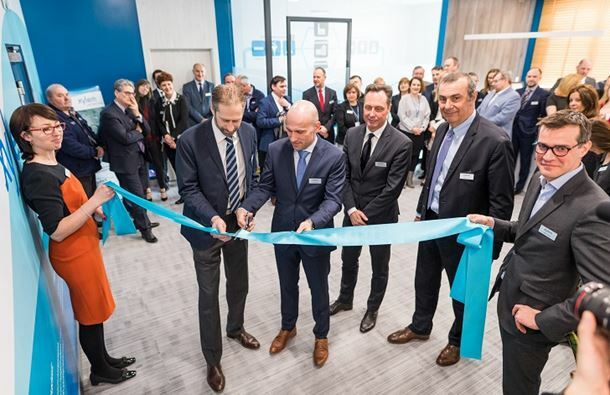 Xylem opens a new 1100 sq m commercial facility in Warsaw as part of the company’s ongoing investment in Poland. Members of Xylem's leadership team pictured at the official opening of Xylem's new Warsaw facility. 2017’s Top 10 business stories, digitization and the future of pumps and the 2018 Pump Industry Awards finalists. 2017's Top 10 business stories, Simmons’s acquisition of Simflo and the 2018 Pump Industry Awards. EKKI’s new pump series, Xylem’s acquisition of Pure Technologies and Gruppo Aturia’s pump test investment were December's most popular news stories.